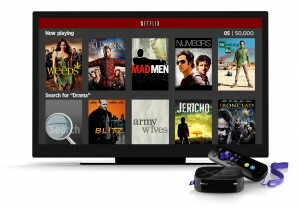 Up to 50 million homes globally by the end of 2014 will have two or more separate pay TV subscriptions, generating extra revenues for the industry, according to new research by Deloitte. In its annual Technology, Media & Telecommunications (TMT) Predictions, Deloitte predicted that multiple subscriptions – spurred by SVOD services including Netflix – will generate additional revenues of around US$5 billion (€3.66 billion) per year. Another 10 million homes are also tipped to receive premium programming as part of a subscription to another service, such as broadband. “Over the coming years, the number of households with multiple subscriptions should continue rising, as more content owners and aggregators, including platform owners such as cable and satellite providers, make their content portfolios available via subscription video-on-demand (SVOD) delivered ‘over-the-top’ using broadband connections,” said Deloitte. “A further stimulus to the market will be the increasing availability of inexpensive HDMI dongles, which connect TV sets to the web,” the report added. Deloitte said that most of the 50 million homes with more than one subscription will pay for a platform-based satellite, cable or IPTV service, along with a secondary SVOD service – though around 5 million will have three or more providers. “By the end of 2015, 20% of homes in selected markets will have three or more pay-TV subscriptions, as more rights owners make their content available via video-on-demand (VOD), as broadband speeds increase, and as premium programming is increasingly used as a customer retention tool,” said Deloitte. The predictions go against previous ‘cord cutting’ industry expectations, whereby households would drop their pay-TV subscriptions or replace them with SVOD services. Deloitte said that the pay TV customer base has remained constant in recent years and has gone up in some markets like North America. It said overall platform-based pay TV revenues reached US$245 billion globally last year, and tips this to rise to US$287 billion in 2017.